Participating in a family's grieving process by providing music for a funeral is a privilege. Please contact me if you would like me to assist in any way. Hopefully this information on how to go about planning the funeral and what will take place will be of some help to you. The Catholic Funeral has three parts: The Vigil Service, the Funeral Liturgy, and the Rite of Committal. 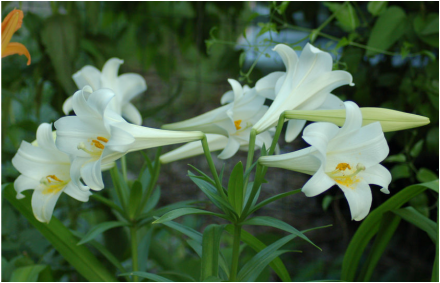 These three components work together to lead those grieving from their reflections on the life of the deceased, to reflections on Christ's resurrection, and lastly, to a hope in the resurrection of their loved ones. ﻿The Funeral Vigil is a time for the family to gather and welcome friends. It is often held at a funeral home, during the time of visitation. The priest will lead the family and friends of the deceased in prayer, and people will share their remembrances of their loved one, as well as any eulogies. ﻿The Catholic funeral mass is a time to focus on the resurrection of Christ and the hope it gives us as His followers. There are readings, songs, and prayers that are typically chosen by the family of the deceased. ﻿The Committal Service is very brief and takes place at the place of burial. The priest will lead you in prayer as your loved one is laid to rest.